PLEASE NOTE: Door opens at 6:15. Class runs from 6:30 - 8:30 P.M. This series of 4 classes is designed for individuals with little to no drawing experience and is limited to 12 students. You will learn form, perspective, composition, light and shadow, and techniques to improve hand/eye coordination that will assist you in achieving realistic renderings. All materials and studio fees are included. Drawing is the foundation of any art. Whether you just want to learn to draw for fun or want to improve your skills, this is the class for you. Start anytime with individual instruction. In this ongoing weekly class you will see beginners just getting started to more advanced students working in pastel or other mediums. Start anytime and come as often as you like. Contact Audrey for more details 417-848-0894. Learn to draw the essentials in this 3 hour class with individual instruction. Regardless of the subject matter, the process is the same. Come learn how to draw realistically! Everyone can!! Please Note: Door opens at 5:30 P.M. Class begins at 6:00 P.M. and ends at 9:00 P.M. Learn to draw with graphite, charcoal or pastels realistically. No experience necessary. Painting In Acrylics Series and learn many of the techniques that allowed him, for the past 40 years, to excel in the real world of competitive art. This is session two of the series and you will learn how to paint ‘Atmosphere’. Why do distant mountains appear purple? What methods does an artist employ to convince the viewer they are seeing far distances? Learn which colors, in landscape painting to add or subtract to create the illusion of great depth and distance. Learn what values to avoid and how important the manipulation of color to create the desirable values are in plein air as well as studio landscape painting. Painting In Oils Series and learn many of the techniques that allowed him, for the past 40 years, to excel in the real world of competitive art. PLEASE NOTE: Doors open at 12:30 P.M. The class runs from 1:00 - 4:00 P.M. In session three John will teach you the intricacies of painting ‘Foliage’, including the three most important elements: design, color and value. Learn how to create an entire forest or a single, convincing tree. Learn why the devil really is in the details. PLEASE NOTE: Doors open at 5:30 P.M. The class runs from 6:00 - 9:00 P.M. In session three, John will teach you the intricacies of painting ‘Foliage’, including the three most important elements: design, color and value. Learn how to create an entire forest or a single, convincing tree. Learn why the devil really is in the details. In this day long workshop you will learn how to paint skies and clouds with soft pastels. We will do a couple of sky studies showing different clouds and times of day. Open to beginners to more advanced. PLEASE NOTE: Door opens at 12:30 P.M. Class runs from 1:00 - 4:00 P.M. PLEASE NOTE: Door opens at 5:30 P.M. Class runs from 6:00 - 9:00 P.M. PLEASE NOTE: Door opens at 12:30 P.M. The class runs from 1:00 - 4:00 P.M. PLEASE NOTE: Door opens at 5:30 P.M. The class runs from 6:00 - 9:00 P.M. Drawing with graphite, charcoal or pastel. Beginners welcome too! Drawing foundations, techniques in graphite, charcoal or pastel for realistic drawing. The essentials to drawing are line, shape, and value regardless of the subject matter. If you get the structure in proportion, you’ll be ready to build on that with value. Value is what gives your drawing form. So many fun little tricks and techniques that will change your drawing! Individual instruction provided. Learn to draw any subject realistically! Graphite charcoal and pastel. Early Christmas gift…..learn to draw!! We are thrilled to welcome back such a fun, inspiring artist, Elizabeth Chapman. We will be working with acrylics on canvas, this month we will be painting intuitively to music. So bring your favorite music with ear buds or paint along to the music Elizabeth will inspire us with! Class is limited to 12 and this class always fills so reserve your spot today! You can find out more about Elizabeth and her art by clicking HERE. Classes are Mondays At Splatter Art Studio, 9am to noon. or text me at 417-773-1175.
can work on their own painting with plenty of one-on-one instruction. Drawing foundations and more advanced techniques in graphite, charcoal and pastel. PLEASE NOTE: Door opens at 2:30 P.M. 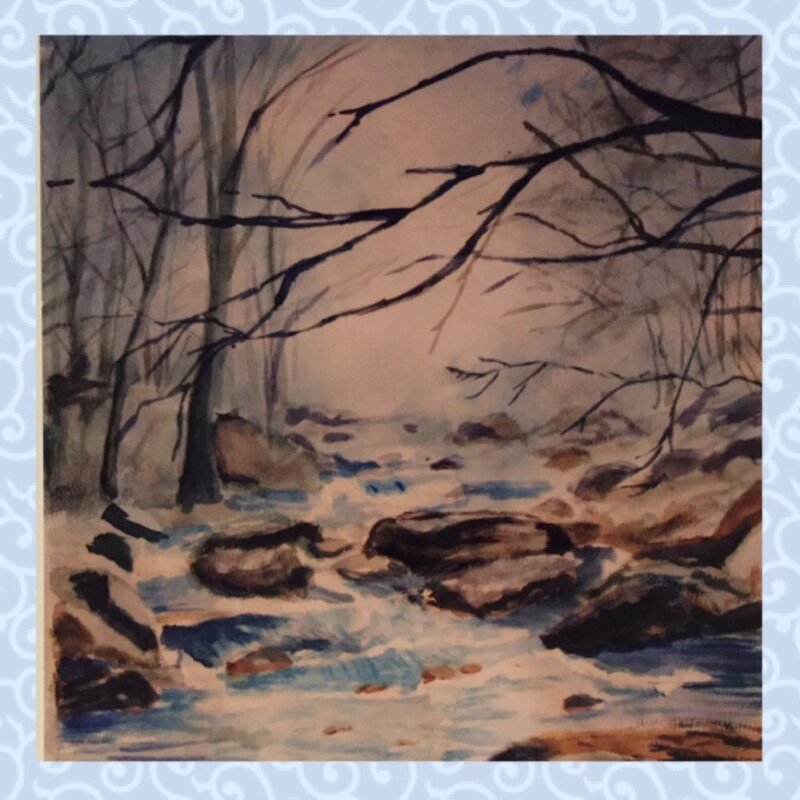 The class runs from 3:00 - 6:00 P.M.
use of your brushstrokes to keep your painting fresh and spontaneous-looking. New to watercolor? Dip your toes into this class! We’ll explore all the basics. You’ll learn everything you need to know to feel comfortable with this exciting medium. All your supplies will be provided. Do you love the soft and buttery effect of oil paintings? More convenience, quicker drying and solvent free? My studio is in a confined space and I love the effect and play time that oils allow. So, I began experimenting with water soluble oils a couple of years ago, after taking a traditional oil painting class. I love the forgiveness and soft buttery effect and fell in love with the medium. Paints and mediums will be provided! In this class, we will be painting from photos and life. Painting several small paintings as we explore this fun medium. We will create yummy backgrounds, using different mediums and techniques. Creating watercolor effects, adding acrylics to our palette and so on. Unlike traditional oils, these paints do play well with others. A fun day of exploration and learning. Class Fee: $50 , includes studio fee. Please email me or send payment to secure your place in class. This day long pastel workshop will cover how to paint landscapes, utilizing value and color temperatures to create atmospheric perspective. Open to all levels of abilities! Contact Audrey for a list of supplies and to register. Registration is required so correct number of photos can be provided. All supplies are provided. Looking to create lively, energetic and colorful one-of-a-kind works of art?! Whether you’re pouring for the first time or honing your skills, you’re sure to have a fabulous time! We’ll cover flip cup, dirty pour, tree ring, and straw. Grab your significant other and make a night of it!